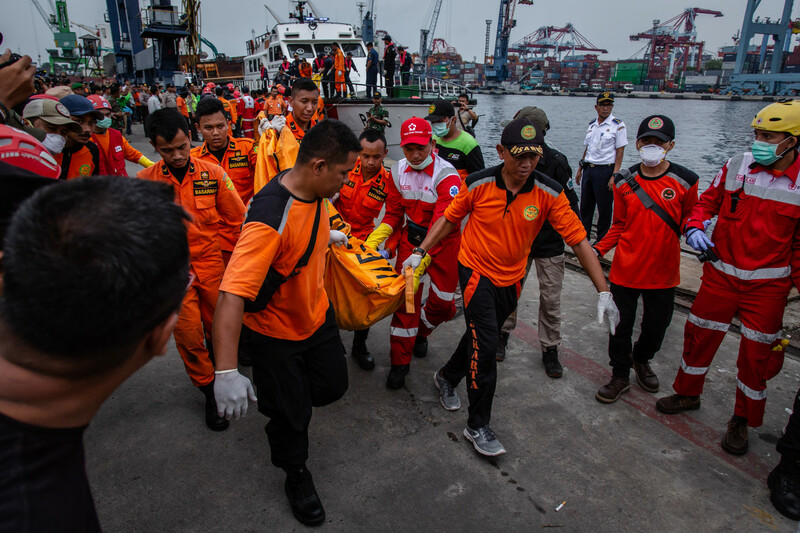 Search and rescue personnel carry a body bag containing remains of a passenger from Lion Air Flight 610 at the Tanjung Priok port on October 30th, 2018, in Jakarta, Indonesia. 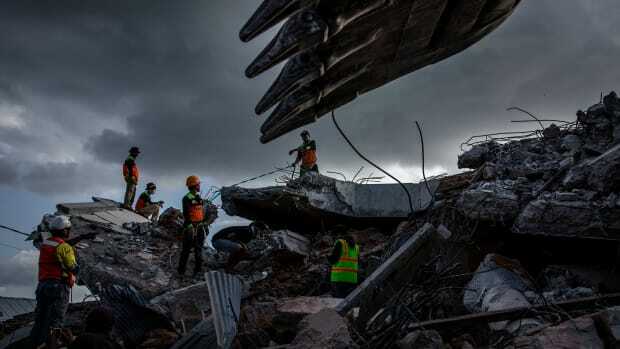 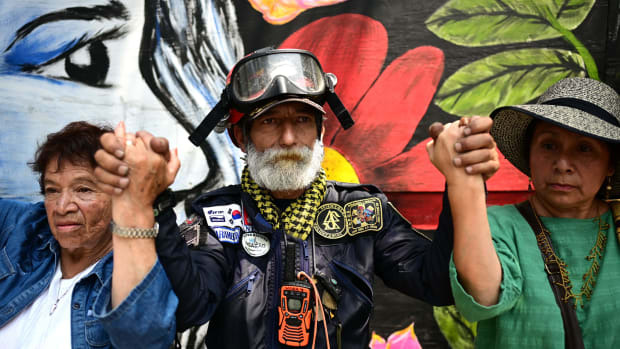 Rescuers have recovered bodies, body parts, and personal items in the wreckage, with all 189 passengers and crew feared dead. 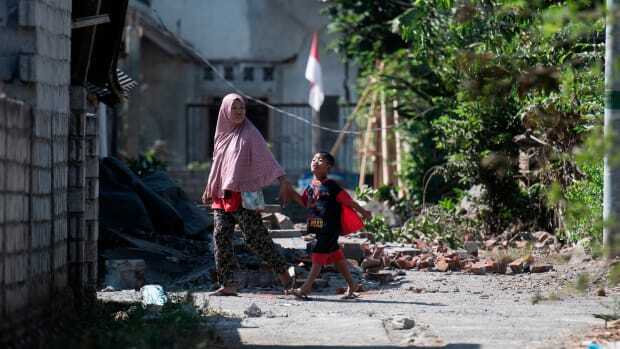 The flight, traveling from Jakarta to Pangkal Pinang, crashed in the Java Sea Monday morning, shortly after takeoff. 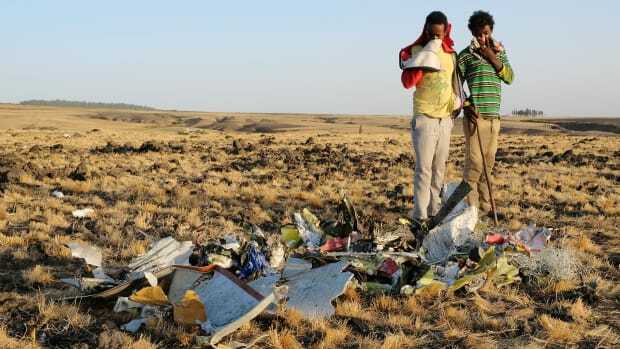 Two local boys examine a pile of twisted metal gathered by workers during the continuing recovery efforts at the crash site of Ethiopian Airlines Flight 302 on March 11th, 2019, in Bishoftu, Ethiopia. 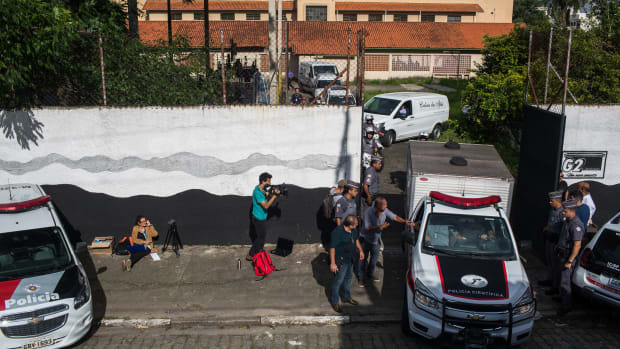 Funeral cars carrying bodies leave the public school where two former students opened fire on March 13th, 2019, in Suzano, Brazil.